Description: World Premier Release on CD! Discomate was a Japanese label that took a special interest in recording West Coast jazz musicians in the late 1970s through early 1980s. Toshiko Akiyoshi and Lew Tabackin, who were running the renowned big band at the time, helped the label by acting as producer and performer, often showcasing the talents of their under-recorded band members. Technically, Akiyoshi is credited as producer, and there is no nominal leader for this album, Just Be-Bop. But nobody would argue about her de facto leadership, with an intention to showcase the talents of fellow West Coast musicians, specifically the member of her band Steven Huffsteter and the great altoist Charles McPherson. 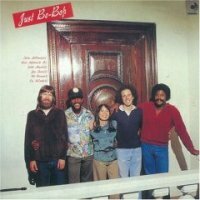 Be-bop may have been out of fashion in 1980 when these sides were recorded, but this album let us know that it never went out of style or lost its vitality. Akiyoshi and co. combines structured arrangements and precise ensemble work with spontaneous and exciting solos, all of which is underscored by an unmistakable sense of swing and drive. Recommended! Produced by Toshiko Akiyoshi. Recorded on March 24 and 25, 1980 at Sage and Sound Studios, Hollywood. Originally released by Discomate. This DSD-mastered, paper sleeve, limited edition CD released by SSJ Records in Japan on June 18, 2008.